Getting one’s first job is a serious matter for fresh graduates. Not only does this mark their first opportunity to prove themselves, it sets the tone for the career and professional development that they will embark on in the coming years. The potential long term impact of this decision has created a huge sense of caution among millennials when it comes to choosing their first employer, with the Banking industry being among those most affected by this new restraint. The students benefited from the experience of presenting their ideas to a real life employer and receiving feedback on the spot. This dilemma formed the crux of INTI International College Subang and Maybank’s latest collaboration, which engaged the insights of INTI students to explore the best ways to attract millennials into considering the banking industry as a prospective career option. This collaboration is a continuing effort between INTI and Maybank as one of its over 400 industry partners who engage in employer projects and practical learning opportunities that enable students to work with employers on actual business issues that impact their business. To date, INTI and Maybank have collaborated on four successful employer projects, and have worked closely with Maybank in the Maybank Student Ambassador Programme, connecting students to the realities of the workplace. Through such collaborations students are also able to develop and enhance their 21st century skills, including creativity, communication, critical thinking and collaboration, which give them an edge as they enter the workplace. 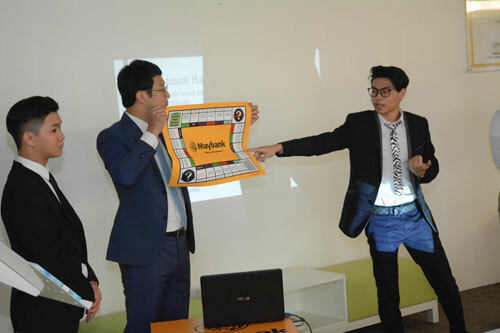 Making Maybank attractive to the millennials – that was the key objective given to the students for their presentation. “Employability is at the core of our efforts at INTI as we are committed to ensuring that our students graduate with the tools and opportunities they need to secure great careers. When Maybank approached us with the idea of finding a way to attract millennials to the Banking industry, we realized this was a good opportunity to engage our students who represent this generation and to offer them the chance to brainstorm and present their findings to this established employer,” said Ms. Hew Fui Mun, Dean of INTI’s School of Business (SOBIZ). 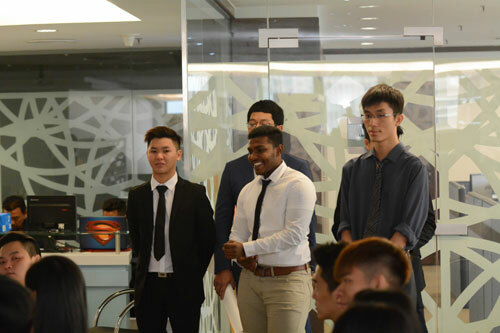 The findings were received with a unanimous appreciation from the Maybank team led by Low, prompting them to accept all five proposals given by the students, which included Lim Chee Hau, Gurvinder Singh, Araliya Delgahagoda, Ng Cher Herh and Kim Soo Rin, all of whom are studying Diploma in Business at INTI International College Subang. The findings will now be used by Maybank in their next collaboration with INTI. “This has been a great project and the students came back with some brilliant ideas and proposals. We are looking forward to working with the next batch of INTI students to take the next steps in executing these ideas, which will provide yet another good opportunity for the students to learn and will help us build our brand among this next generation of Malaysian talents,” said Low. Recently awarded the most popular employer among university students and graduates in Malaysia based on Malaysia’s 100 Leading Graduate Employer Survey, Maybank has also worked with INTI previously on the Maybank Go Ahead Challenge, for which INTI was named the Best University in 2016, and the Global Maybank Apprentice Programme through which Low was offered a position within the organization. Like many other INTI graduates, Low is a testament to the institution’s long standing graduate employability ratings, with 98% of INTI graduates being employed within six months of graduation, while 25% receive job offers even before they graduate. 82% are also paid higher than the market average, highlighting the edge that these students have over their peers. These figures were validated by BDO Governance Advisory, making INTI the only institution of higher learning who can vouch for its employability outcomes.